Dubai: A location in Dubai featuring Dh90 million mansions under development is generating a lot of buzz for its apartments too. 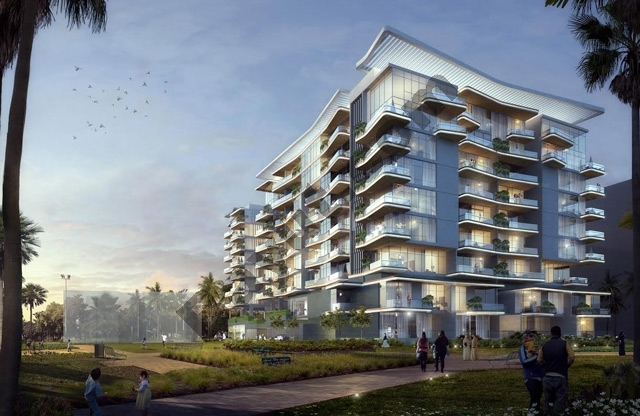 Of the 995 off-plan units sold at MBR (Mohammad Bin Rashid) City in the year to date, 659 have been apartments. And 54 per cent of the apartment units sold carried price tags of between Dh500,000 to Dh1 million and were predominantly one-beds, according to Property Monitor’s Communities Index. The Mohammed bin Rashid City is split up into multiple “districts’ and spread over a 10,800-hectare site. The average sales price for a three-bed villa/town house is Dh2.18 million. Villas and town houses are selling at an average of Dh1,192 a square foot compared to other masterplanned communities such as Arabian Ranches, which is selling such properties at an average of Dh1,200. “Phase one of the project (District One) was handed over in May this year, according to Property Monitor’s supply tracker, which shows 483 villas/town houses scheduled to be completed by end of 2017 and 807 in 2018. Another 1,411 apartments and 2,146 villas/town houses are scheduled by end 2019.